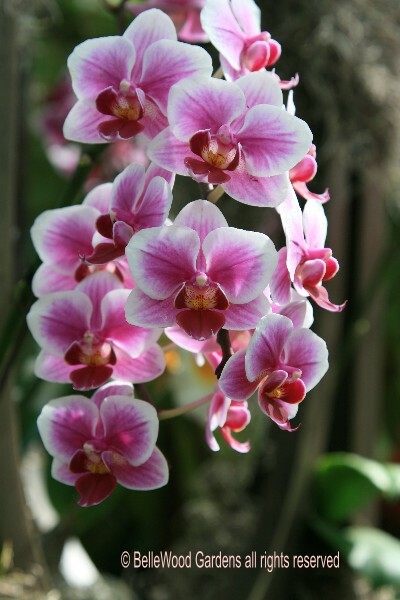 Moth orchids. They have moth-like flowers in a wide array of colors. Sounds interesting. 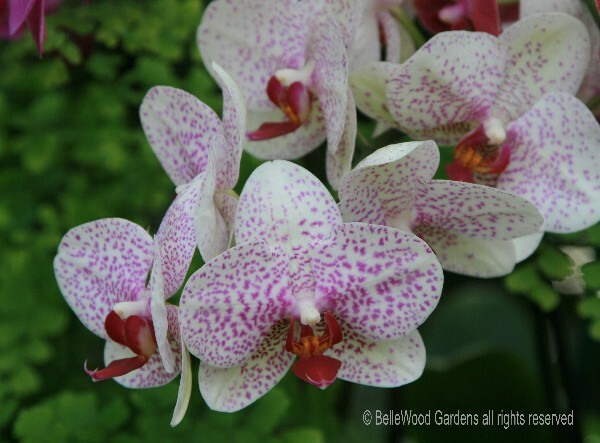 Phalaenopsis are one of the most popular orchids among home growers. 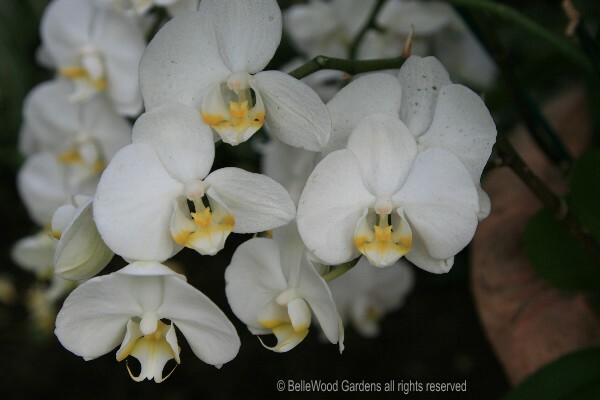 Relatively easy to grow, they thrive in warm temperatures and moderate light. 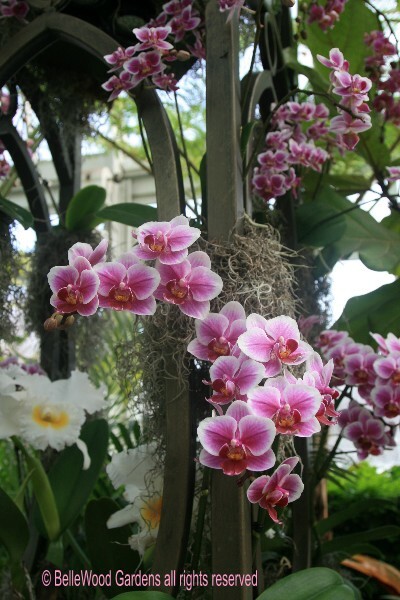 A great deal of their appeal is due to the fact that their flowers, which grown on long spikes, are very long-lasting. One spike can be in flower for several months. 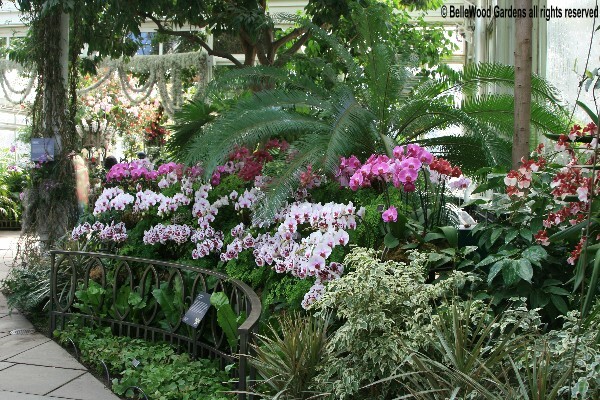 And at the New York Botanical Garden orchid show the moth orchids are splendid en mass or in detail. by a curved metal railing reminiscent of a balcony. 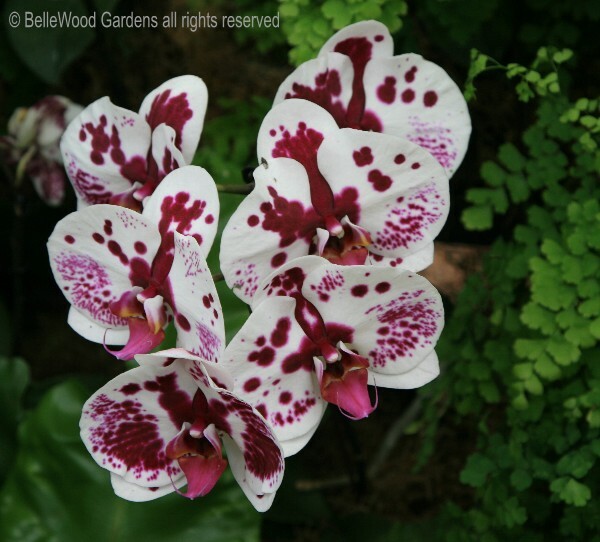 The moth orchids shaded from deep pink to white. their arching stems echo the curves of the metalwork and overhead display. 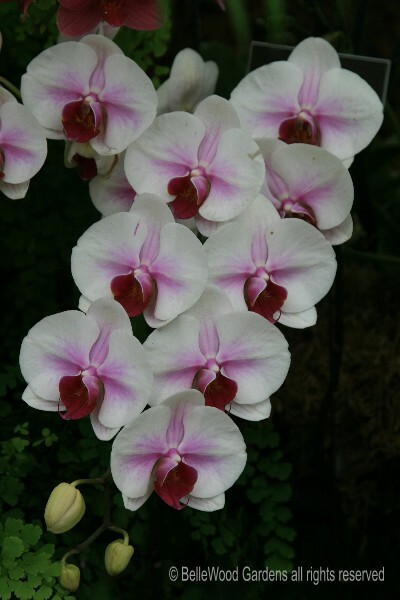 Phalaenopsis Sogo Kitty with rose pink blush suffusing the petals. Variation on a theme - freckles and speckles washed across the petals. 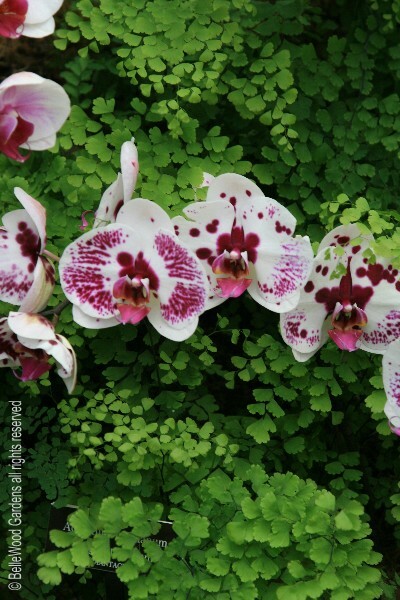 The soft green fronds of a maidenhair fern create an elegant background. Pay attention to small details. Fine lines stippled on one, blotches and drips of color on another. Color bleeding out from the intese hue at the flowers' hearts. 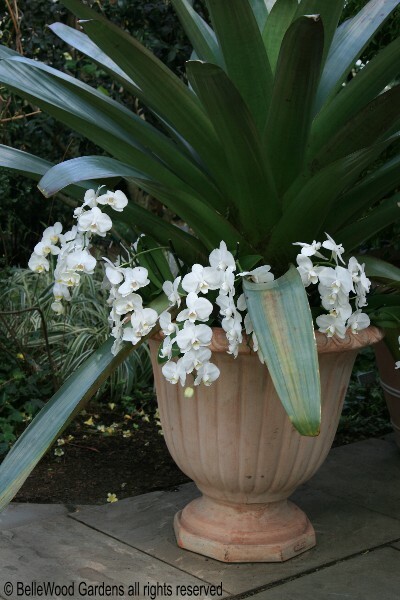 a giant bromeliad, has Phalaenopsis Prayoon White as an embellishment spilling over the urn.